We are currently looking for Bobarista, shift leads, and potential managers in all of our stores in San Francisco, San Mateo, Fremont, and Cupertino. You should be able to work a minimum of 2-3 days a week, weekends and nights included. Hours range from 15-25 hours per week for part-time, 30-40 for full time. What are we looking for? We enjoy bringing happiness to our customers through high-quality, authentic taste and excellent customer services. 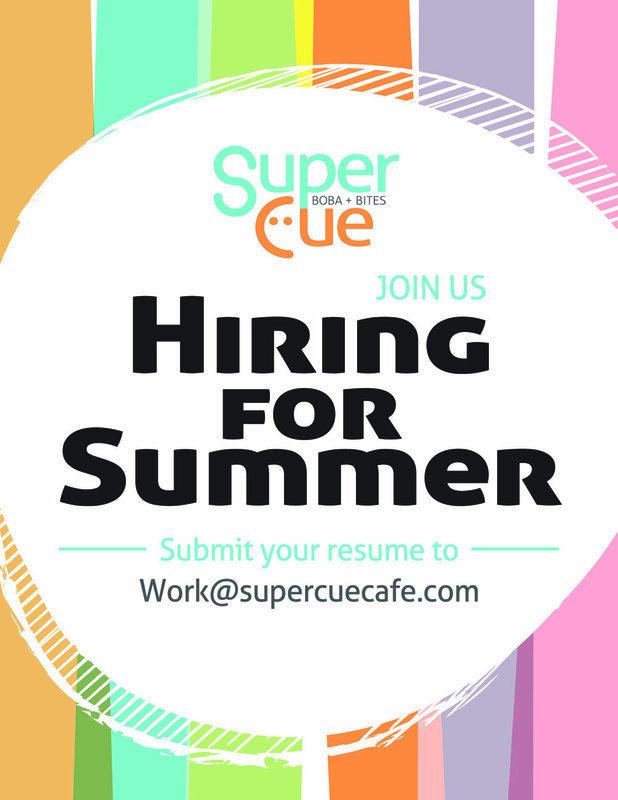 We're looking for someone reliable, happy and loves tea and boba. While creating the experience together, we are about who you are as a person and what you can bring to Super Cue. Join us and be on this journey of perfecting and providing authentic baba tea with us!